ALLOW AT LEAST 30 MINUTES OR UNTIL CHOCOLATE IS COMPLETELY MELTED BEFORE TURNING PUMP ON. AT LEAST 6 LBS OF CHOCOLATE IS REQUIRED FOR OPERATION. WE RECOMMEND THAT CUSTOMER USE SEPHRA CHOCOLATE OR ANY TYPE OF COUVETURE CHOCOLATE. TO HELP WITH THE FLOW OF CHOCOLATE THROUGH THE FOUNTAIN 1 CUP OF VEGETABLE OIL CAN BE ADDED. 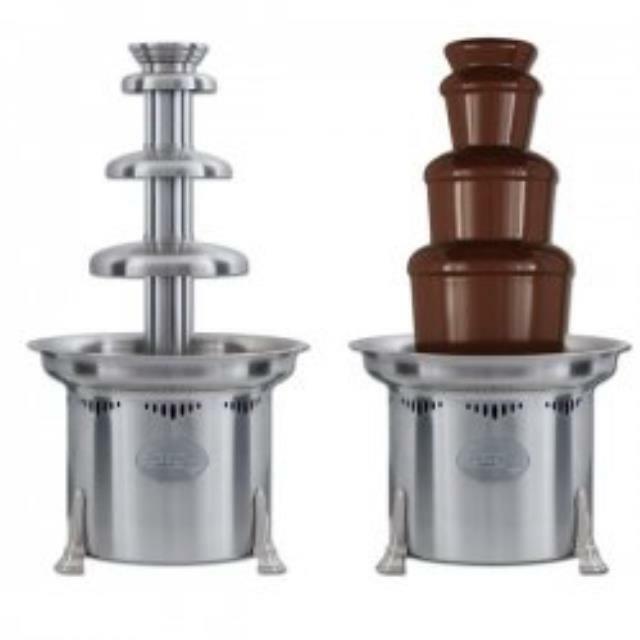 * Please call us for any questions on our chocolate fountain 27 inch tall rentals serving Baltimore and surrounding communities in Central Maryland.